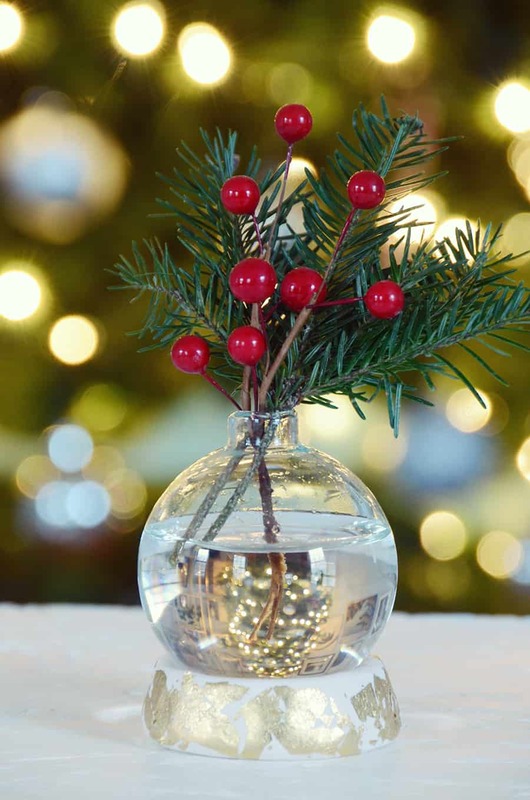 Clear glass Christmas ornaments offer a wealth of crafting opportunities… you can fill them with things, write on them and even paint the inside. But until recently I hadn’t thought to use them for anything other than an ornament. So when I thought to try one as a bud vase, I liked what I saw. And today I’m sharing the tutorial with you. The key to this project is really the holder for the vase. Begin by rolling out a ball of oven-bake clay which is a bit smaller than the ornament. It will start out quite hard, but play with it in your hands and it will become softer and easier to work with. Flatten it into a disc shape and roll it on its side to flatten the edges as shown above. Set it down on your work surface and use your thumbs to create a rounded indentation in the disc. Place the ornament on top of the disc and see how it fits. It should nestle into the indentation quite snugly – you can shimmy it around to make the clay match the shape of the ornament. Begin attaching small pieces of gold leaf to the edges of the clay. Press it firmly enough into the surface so there will be no need to use the gold leaf adhesive. Heat the clay holder in the oven according to the directions on the package. Let it cool thoroughly. 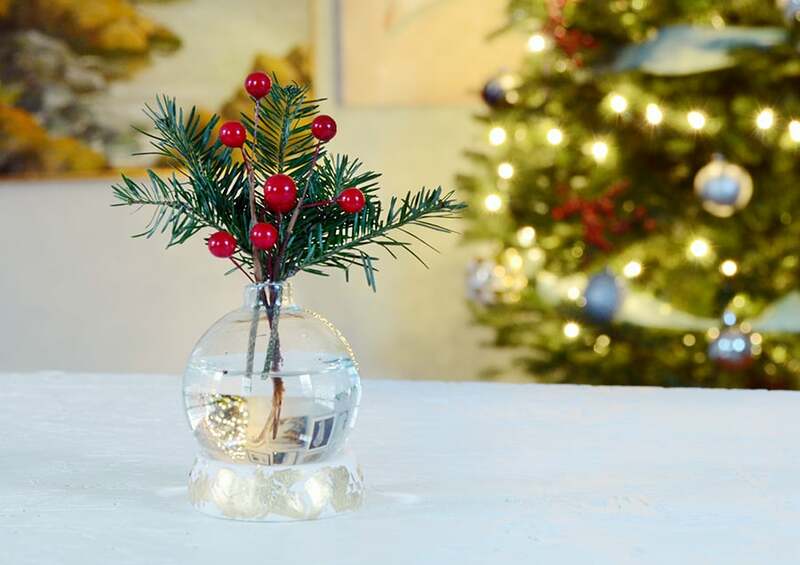 Remove the metal top from the ornament, clean it with Windex and fill it with water. Place a small loop of tape on the bottom and place it in the holder. Now your vase is ready to display a few branches or small flowers! 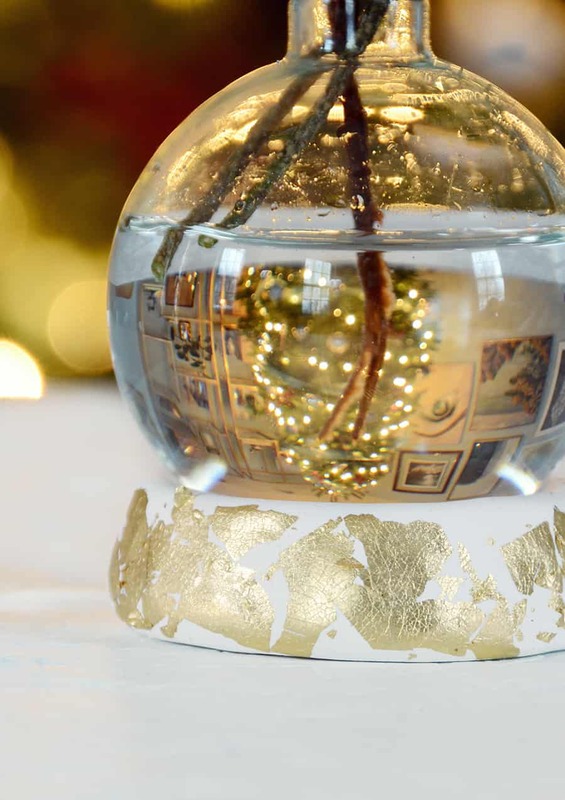 The gold leaf gives it a very festive holiday feel, and it really allows the ornament to stand out. 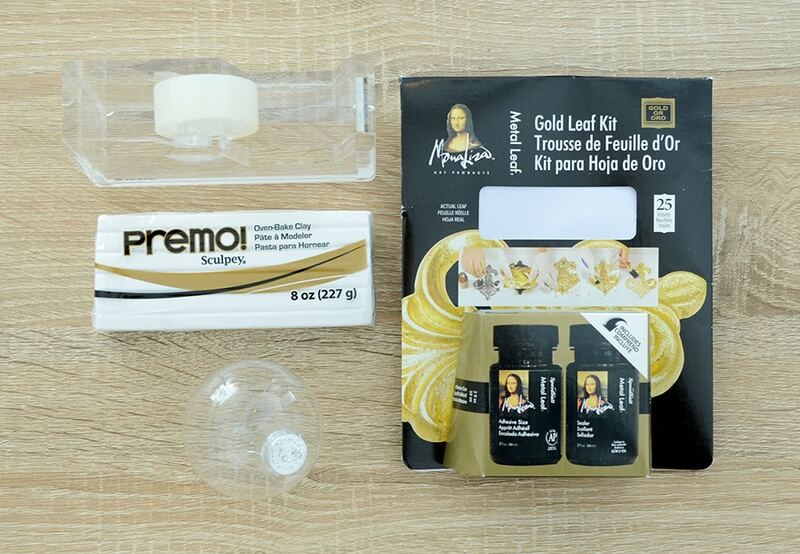 You could also customize it by choosing a different clay color for the base, adding silver leaf instead of gold, or you might even try writing on the outside surface of the glass ornament with a white chalk marker. A Christmas song lyric or phrase would look wonderful scrawled across the front. 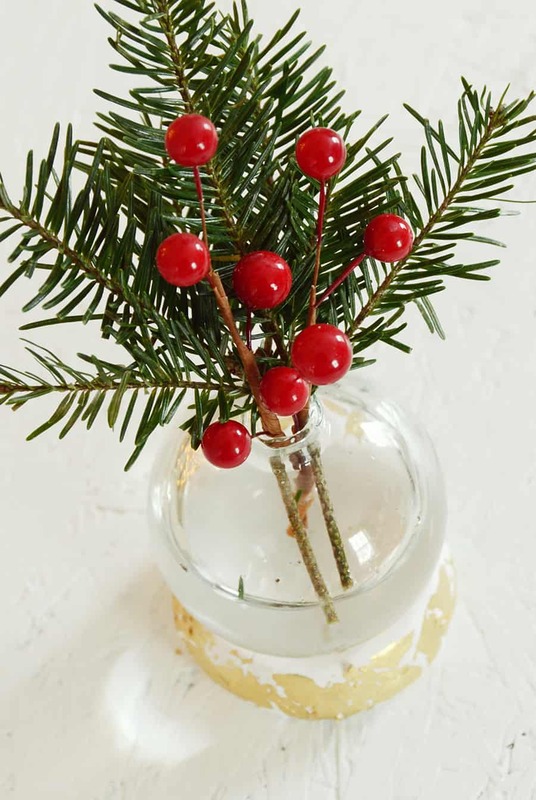 It looks beautiful with evergreen branches and artificial berries, but you could also fill it with a single red rose or a cluster of chrysanthemums. Have fun!